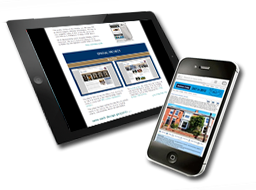 Some clients’ website traffic via smart phone is now reaching 20% or more and so we’re recommending producing RWD smart phone versions enabling a better experience on the smaller format. Email mobile@studio5.co for further information. 2015 started with a whole host of new projects large and small. We'd been working over the holidays on two major redesigns for UK real estate agents, both of whom have been clients of Studio5 for nearly twenty years. In addition to new designs there were improved data updates using our new MVC based CMS which have speeded up the whole data handling process on the websites making the functionality a whole lot faster and more robust. Other current projects include a couple of Sedona Contracting Companies, Life Coaching Professionals, a Colorado based Mining Company and Californian Video Conferencing. Quite a mix! We'd really appreciate it if you would let others know how you found our service. If you are on facebook and would be kind enough to spend time to leave a review we'd be very grateful. Thank you to all those who have already. "Timon and all the guys working on our project have made my dream, my vision of what I wanted for our website, come true. They have built us a totally functioning and smart website that handles all of our 600 MP3 downloads and automating the sale of our CDs and DVDs from our warehouse. They integrated my merchant service and shopping cart so it works great for our customers and have designed a system for our newsletters that allowed us to eliminate a popular online service that was getting expensive. Every time I have asked them add a feature they easily complied right away. I HIGHLY recommend Studio 5 and look forward to our continuing relationship." 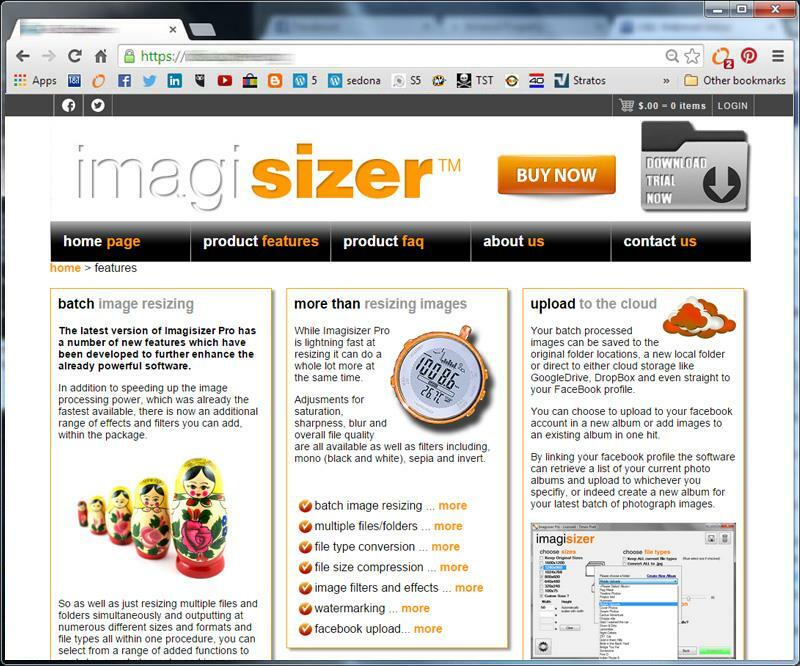 A new website using our new MVC e-commerce management system was developed for our own inhouse software development product IMAGISIZER. 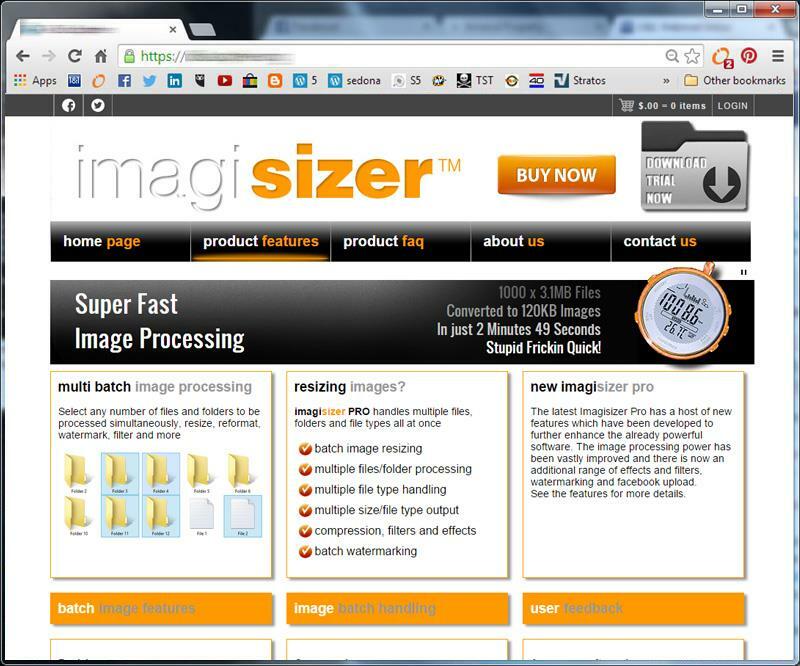 This software handles batch image processing at lightning speed. In addition to speeding up the image processing power, which was already the fastest available, there is now an additional range of effects and filters you can add, within the package. The website, includes various additional functionality to the e-commerce aspect such as voucher code and tracking as well as license key operations within the database. A web design project for a good friend and master of engineering, Chuck Armstrong. 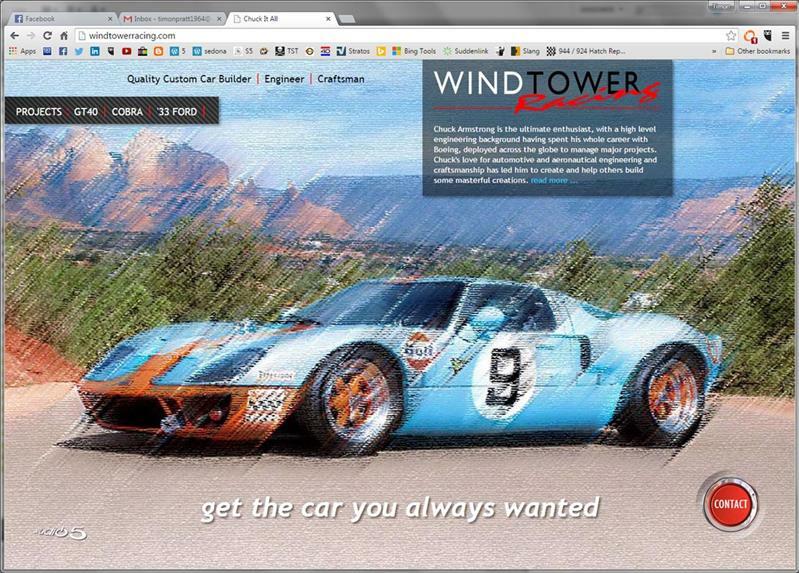 Chuck has built Hot Rods, Cobra Kits, and was the proud owner of the Ford GT40 featured on the home page. After a life long career with Boeing around the world, Chuck know enjoys tinkering with automotive projects. 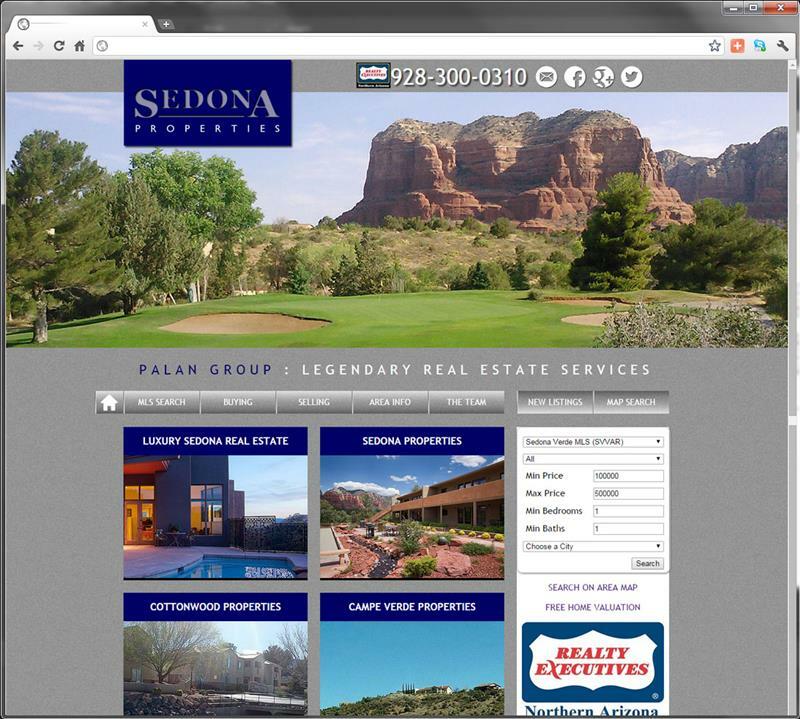 Sedona Real Estate web design project for Phil Tatum, one the first people I was fortunate enough to meet when the business started here in Sedona. Phil has been instrumental in a number of clients finding their way to us. This website includes the IDX MLS listings integration which provide flexibility and scope for the site itself and SEO which is also part of our remit along with social media marketing to promote the site. It seemed fitting that the website for this magnificent book, by local authors and friends Curt & Marti Griggs, went live on World Book Day. 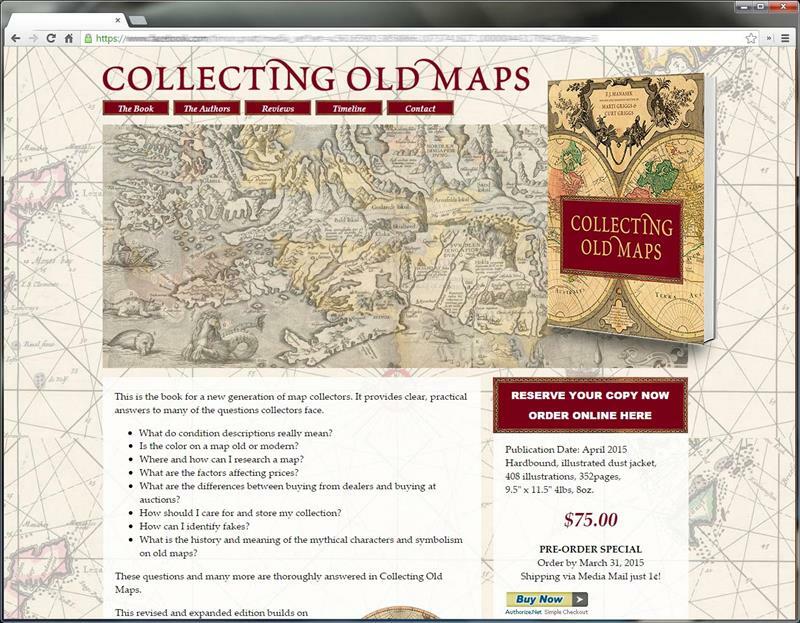 The website involved some interesting CSS web development for the timeline feature and follows the design of the book itself closely. Sales of the book got off to a great start after an initial email blast! A new website design for an existing client which will include a mobile friendly version for the ever growing traffic from this medium. 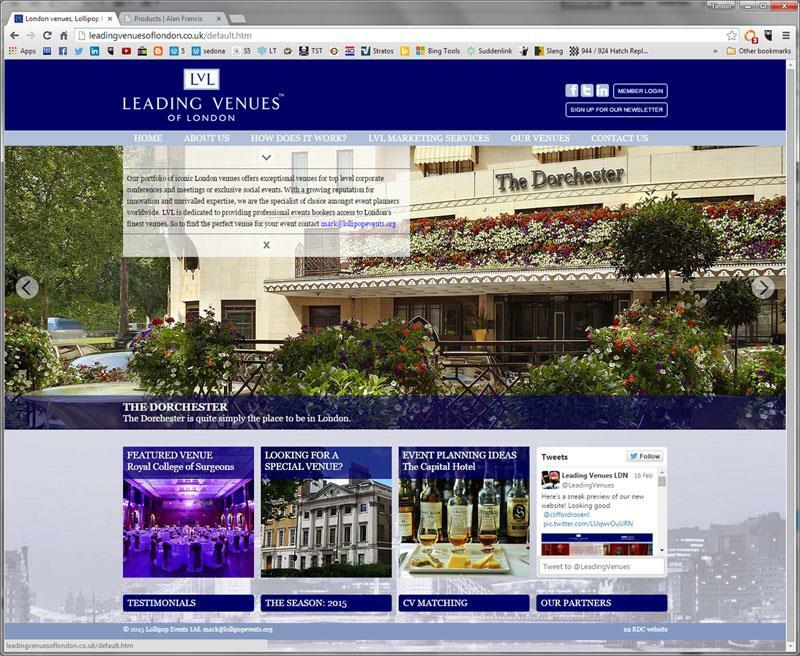 The business itself has grown substantially and now includes some of the very famous venues in London such as The Ritz and The Dorchester as well as some new exciting venues.